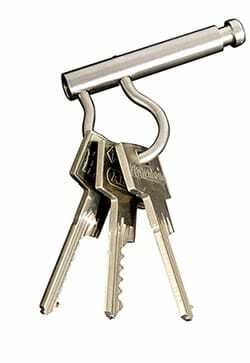 Basic and most often chosen device for key protection and management. It will perform perfectly in all types of organizations. A deposit safe was designed as a most all-purpose device: it combines easy management with optimal protection of keys. 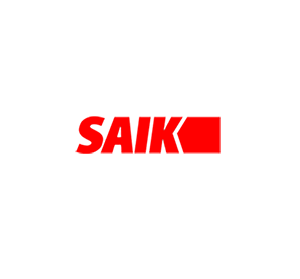 SAIK KEY deposit safe stores, protects and allows intelligent management of single keys or whole key bunches behind the robust, steel casing. Keys are stored on key rings, placed in special holes. Keys are fastened to rings with the help of dedicated padlocks , which should be destroyed if the key is replaced and another padlock should be used. Such a solution facilitates independent replacement of the keys if necessary, and at the same time perfectly protects the keys against any unauthorized use. Key rings are placed behind the blocked door . The door can be glazed, with a mirror or mat – always strengthened with protective foil. Any key which is in circulation in the company can be stored on the key ring. Rings are blocked in the device, which means that the user cannot collect the key to which he is not authorized. In each ring there is an electronic identifier containing the information related to the key connected with it, such as its name, access authorization granted to particular employees, etc. NThe smallest device can protect only one key ring, the biggest one can store even 300 or more key rings. 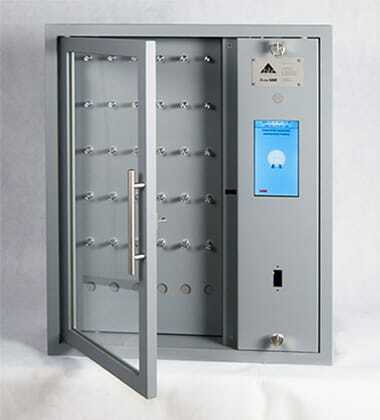 The key deposit safe size can be adjusted to particular needs. The biggest devices have got the double density of holes in the casing (HD-high density), thanks to which twice as many keys can be stored within the same space.